Here are some of the benefits you will see with our cams. Results will vary depending on the grind you choose. Largest cam that can still fit in the engine with out piston valve relief, but still small enough to be utilized in a daily driver truck. Increased torque and hp numbers. Great for the person that races or pull frequently, but still drive the truck to the event. The term “Drop in Cam” is used very often in our industry. So I will define “Drop in Cam” . 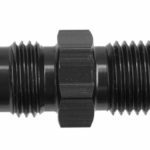 A drop in cam means you should not have to modify the standard unaltered OEM block or engine parts used in conjunction with our camshaft. This does not mean you can simply install the camshaft, align the timing marks, and you are safe. 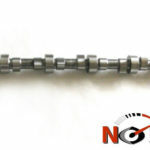 These camshafts are built to provided more performance, thus lessening the piston to valve clearance the engine has in the stock form. 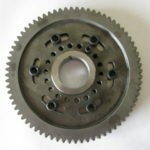 Keep in mind that some Cummins cam gears have slightly different offsets built in, and production tolerances of the gears, camshaft, block, and cylinder head also change the clearances of installed parts from engine to engine. 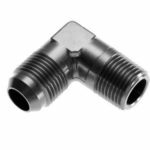 Typically you should not need to add valve relief pockets in the pistons; however it is the customer’s responsibility and the customer must check and insure that installed center lines, and piston to valve clearance is appropriate for engine operating conditions. If you have had any block or head work done, or installed any aftermarket parts, (including an aftermarket camshaft) you must check piston to valve clearance, and camshaft timing to insure proper alignment before starting your engine. Our camshafts work best when the intake lobe center line is installed from 98° to 103°. To modify installed center lines call us for offset keys, or an adjustable cam gear. A basic degree wheel, a small amount of wire and a dial indicator is all that is needed to degree a camshaft in. 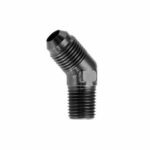 This cam requires the use of a 1.300 diameter tappet or larger. You must have new tappets supplied by No Limit MFG or have your tappets resurfaced from No Limit MFG,when installing any of our cams, or damage and wear may occur. OEM Cummin’s tappets will not work with No Limit MFG steel camshafts. The OEM tappets are built with a flat face. This causes edge loading, and will quicken wear. We also have found hardness inconsistency in OEM Cummins flat tappets. This inconstancy can lead to tappet and camshaft failure. Our No Limit MFG new tappets, and reground tappets are made with a crown on the face. 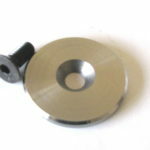 This allows the tappet to spin more. Thus slowing down wear and evenly spreading the wear across more of the tappet. Our tappets are also checked for hardness consistency, and must meet a minimum RC. 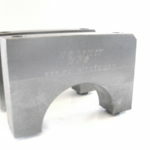 For reground lifters we check hardness on all lifters before resurfacing to guarantee correct operation. For engine applications using extreme boost, high rpm, spring pressures over 103 seat, 375 open, and high mileage use (such as modified trucks that are driven daily) we also offer an up graded tool steel lifter that is DLC coated. This lifter has been tested on super stock open trucks, 3.0 trucks, and the same technology has been used in NASCAR for many years. Talk to your dealer or give us a call and we will recommend the correct lifter for your application. On engines seeing over 30 psi, over 500 hp, or over 3500 rpm we also suggest to please call, and we will help you determine the spring you will need. 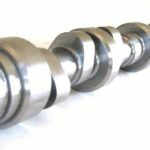 A steel camshaft will stop most breakage due to harmonics, and twist, but it is still vulnerable to breakage from journal seizure. The Cummins engines, have either one or two bearings for the seven journals. The other five or six journals ride directly on the block. In instances where big lift cams and high spring pressure are used, the cam can push through the oil film that separates the cam and block and seize. Having the block line bored and installing journal bushings will ensure this does not happen with a cast or a steel camshaft. If you are running a cam with more than 210 degrees of duration @.050″, more than .340″ lobe lift, more than 375# nose pressure or getting close to 4500 rpm, it is highly recommended to have your block modified to accept cam journal bearings for all 7 journals. Even if you do not meet these specifications, and you are using it in any type of pulling or racing, it is highly recommended to have your block modified to accept cam journal bearings for all 7 journals. 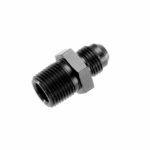 We even recommend having your block align bored and cam bushings installed on any engine for any use. If your block has been removed from the truck, or can be removed, it is a low cost insurance to have this done. Ask your dealer, or give us a call and we can help get you to a good machine shop to perform the work. It first starts with the break in process. Do not use used oil. Used oil carries contaminants, and the additives that help lubrication under extreme pressure have been broken down, and are much less than new oil. So it is very important to start with new oil. There are many break in oils available. Use a break in oil that has a high zinc content. You can use a much higher zinc content than 1400 ppm. For break in you want a minimum of 2600 – 3000 ppm. If your oil is low in zinc also known as ZDDP, you can add a engine break in additive. Make sure you use an additive that has a high concentration of ZDDP. Lucas Break in Oil Additive. Make sure to follow oil manufacturers instructions. Having to much is better than not enough during break in. Also coat the camshaft with a camshaft paste. Camshaft paste is available from Zplus, and No Limit MFG. The camshaft paste will stick to the camshaft and not slide off. It also has Moly, and ZDDP additives to help with extreme pressure lubrication during break in. All oil is not the same. Even synthetic oils are very different. Oils made today are made for new vehicles with emissions devices. Oil from the past, have additives that over a period of time, will plug and corrode the emissions devices on new vehicles. So the government has set new regulations for oil to reduce their effect on the emissions devices. The main additive that is removed is ZDDP. This additive was the most well known and the best at reducing wear of sliding metal components. The reduction of this additive has caused the automotive industry to have many wear problems early on in the new regulations life. 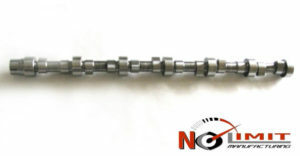 Many of the problems have been related to flat tappet camshaft wear. To resolve the problem most OEM automotive car companies have converted to roller lifters , and camshafts to match. In the case of the flat tappet camshafts all camshaft manufactures only recommend using higher ZDDP concentrated oils used in the past. So what does this mean for new vehicles like the 6.7 Cummins. Well you will have to choose between lessening the time your vehicle’s emission s systems will last or run the risk of damaging your camshaft. We highly recommend using high ZDDP oils or zinc additives for low ZDDP oil. Your oil must contain at least 1800 -­ 2000 ppm of ZDDP. So KNOW Your Oil. Just because it is synthetic , or high tech, does not mean it contains enough ZDDP. If it does not, it will result in damage to the camshaft and lifter. Good oil is a low cost solution to longevity of engine parts. Also make sure they know your application. Racing oil is made for racing, and doesn’t have the detergent additives needed to drive your vehicle on the highway. And typically oil used in your vehicle for highway use doesn’t always offer the heat properties of racing oil. So if you are driving your vehicle on the highway and racing, pulling, or drag racing it, you will need to consider using two oils. Typical race oil changes are 2 – 3 races down a pulling track or drag track. Remember you only have 2.5-3 gallons of oil in your engine. This is small compared to our high performance tractor engines that carry 6-8 gallons of oil. Also keep in mind that severe duty conditions also effect the change interval. If your towing, towing heavy loads, street racing, revving your engine, (rolling coal), or driving on hot days, these all effect how long the oil can protect the wear components of your engine. Typically change intervals will be greatly reduced in these conditions. A good way to determine your oil change interval is to have your oil tested. If your interested or would like your oil tested please call us.